Several sessions at the ARC Advisory Group’s recent Industry Forum covered various asset management topics in detail. The session, “Strategies and Technologies for a Successful Asset Integrity Management Program,” focused on the asset integrity management (AIM). At the session, end-user speaker, Rogério Weber Kirst from Braskem, shared their specific strategies and challenges relating to AIM with the audience. Braskem is a major chemical company with significant presence in Brazil as well as major operations in US, Mexico, and Germany. As the company has expanded its footprint through acquisition, it faced the challenge to align different work cultures, practices, as well as technologies. Mr. Kirst shared that one of its plants had five different DCS systems. No doubt, when the company decided to start its digital transformation journey in 2016, it knew it was not going to be easy. Braskem looked at various technology solutions that could help the company to improve the performance of its plants and reliability of its assets to reduce corrective maintenance costs. Mr. Kirst highlighted that if the company understood technology alone it won’t solve its problems; the other key elements were process, people, and strategy. Once a new technology is introduced, it can alter the whole process. Therefore, people involved with the new technology and processes should be ready and prepared to accept the imminent change. Furthermore, to have all the pieces go well together, companies need to establish a well-thought-out strategy to achieve the desired results. 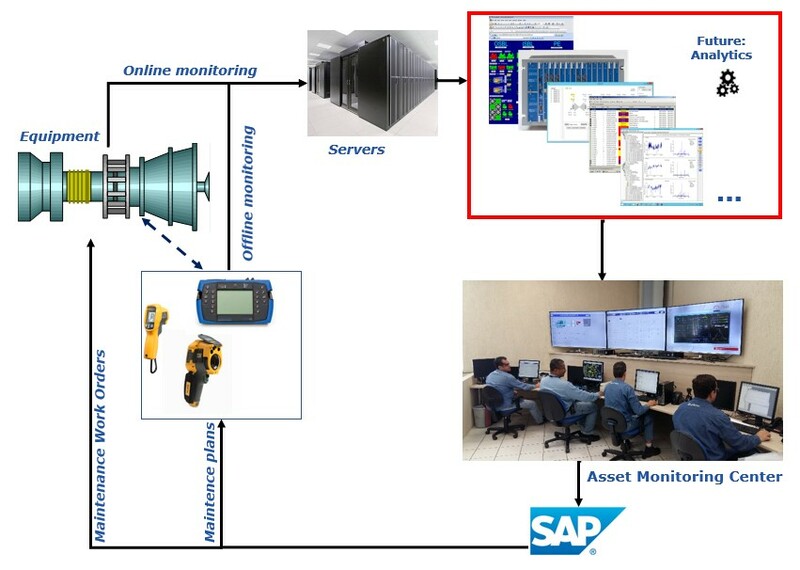 To emphasize the importance of process, people, and strategy, Mr. Kirst shared an example where his company had previously implemented a state-of-the-art asset management system and connected all instruments to the new asset management workstation. However, it soon realized that the operators were only using the system for calibration purposes when replacing instruments. This highlights that unless plant operators and workers are properly trained and acquainted with the new technology and processes, optimum value will not be achieved. Learning from its past experiences, Braskem set out on its digital transformation journey. The company follows a detailed, step-by-step process for every new maintenance project, starting at developing the appropriate philosophy through analyzing the final results. As a part of its digital transformation strategy, the company implemented a new visualization platform and set up an asset monitoring center. The asset monitoring center continuously receives input on asset health through monitoring. In addition, data can also be entered offline. The center is staffed with a variety of specialists, including a mechanical rotating equipment specialist, electrical engineer, instrumentation engineer, and static equipment specialist. These specialists look at various platforms and monitor the health of the equipment. They continuously analyze the incoming data and send their input to ERP systems, so that maintenance activity can be planned accordingly. In the future, Braskem plans to add analytics capability to better equip its specialists. Establishing an effective AIM program is key to a successful asset management. Owner/operators should follow a comprehensive process for assessing risks and developing AIM strategies. They should make it a priority to involve the right people and then properly train them on the new technology. Selecting the right people, those who believe in the new technology and processes, can be instrumental to project success. When evaluating technology or new processes, organizations should clearly identify how the new solution or process will address their specific problem. To learn more, readers should review the PowerPoint presentations and videos of this as well as the of many other asset management sessions held at this year’s ARC Industry Forum in Orlando.